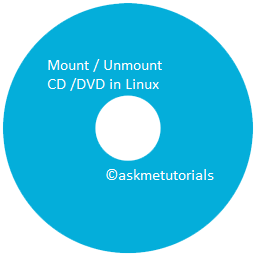 In this tutorial i will show you how to Mount/Unmount the CD Or DVD in the Linux Server via the command line. They are many ways to mount the drives ,but this is most commonly used. Step 1 : Before mounting we need to find the name of the CD / DVD-ROM .